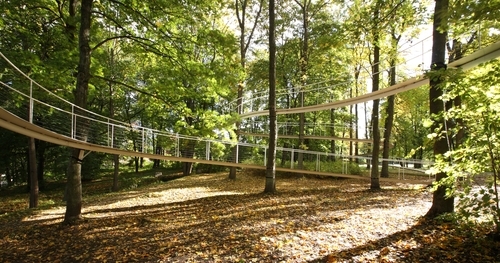 A Path In The Forest from LIFT11 on Vimeo. 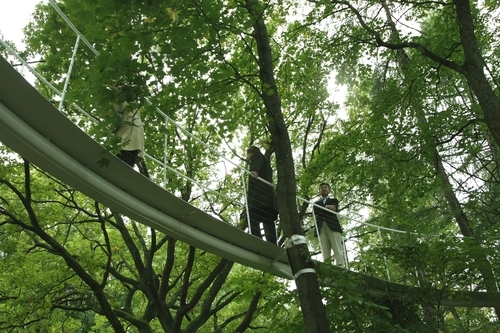 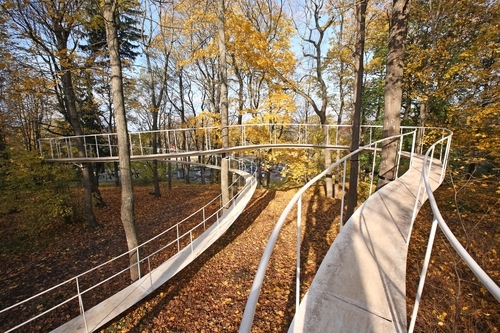 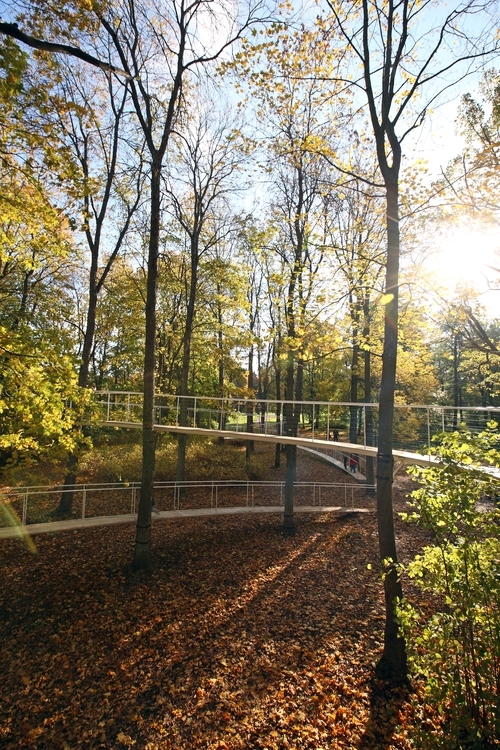 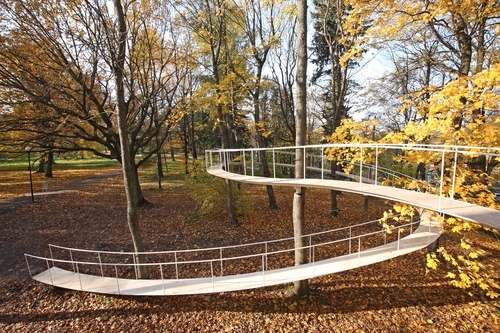 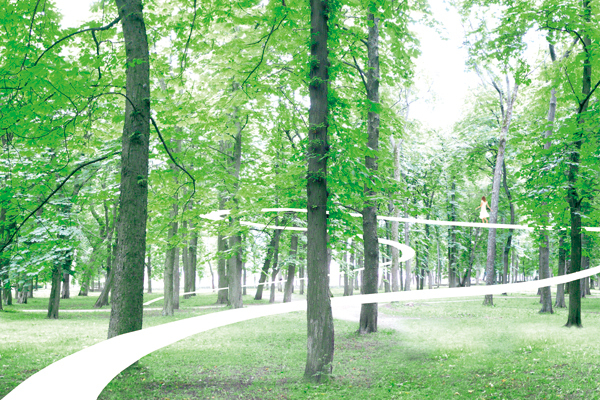 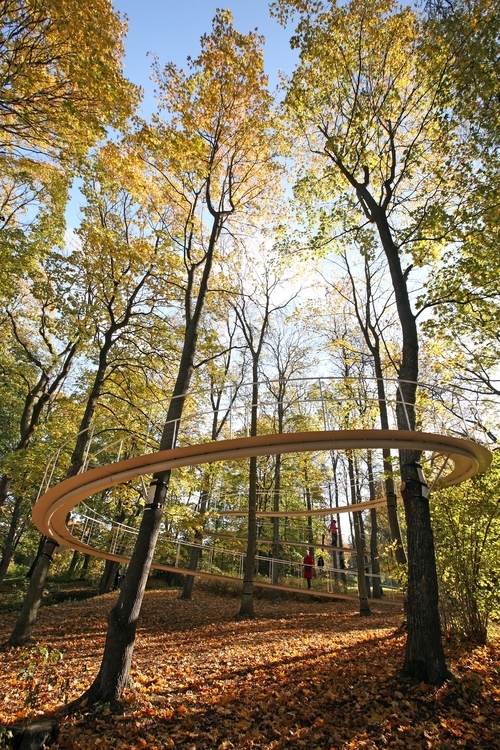 While the other ten works of LIFT11 were selected in a public design contest, the eleventh installation, A Path In The Forest by Japanese architect Tetsuo Kondo, was created on commission and its preparations were started only in early June, by which time clear visions of other festival works had already been achieved. Hence the curators’ idea to complement the whole with an architectural installation of a fascinating structure creating a new, poetic spatial experience in conjunction with the surrounding park environment. 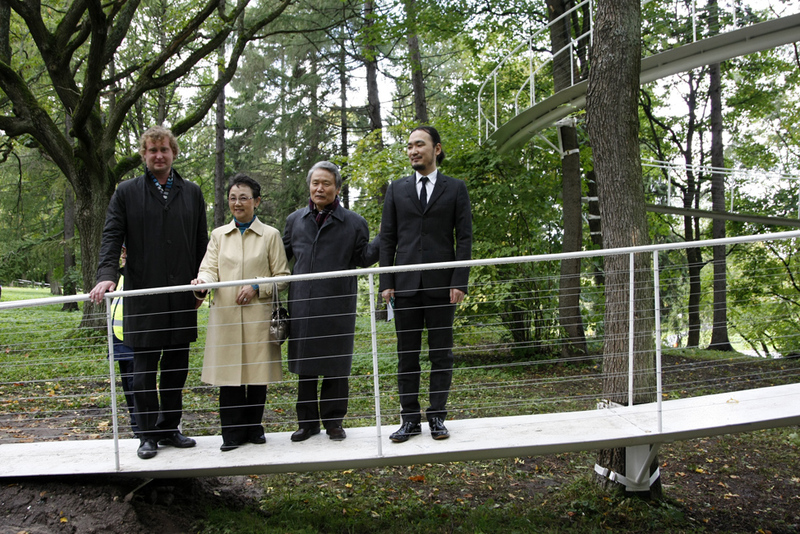 ‘Architects often make houses between trees but I tried to go further, to make the border between architecture and nature disappear,’ explained Tetsuo Kondo. 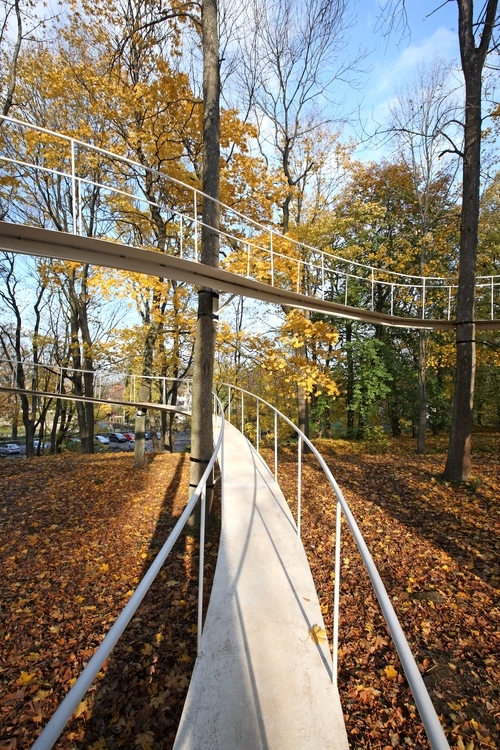 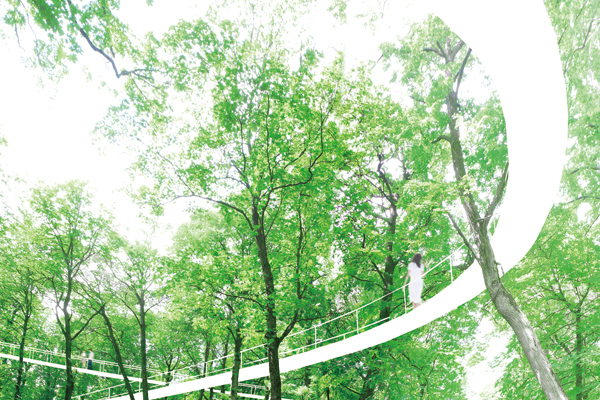 ‘It is a piece of architecture which has been made for the trees as if these trees existed for this architecture.’ The 95-metre white metal pathway meandering between the trees was supported by a bent steel pipe, which stood by itself, only slightly leaning against the living trees. 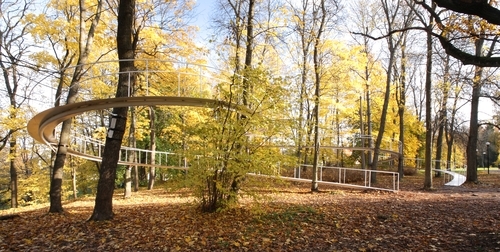 Locations for the other public artworks of LIFT11 were evidently finds of the local artists. 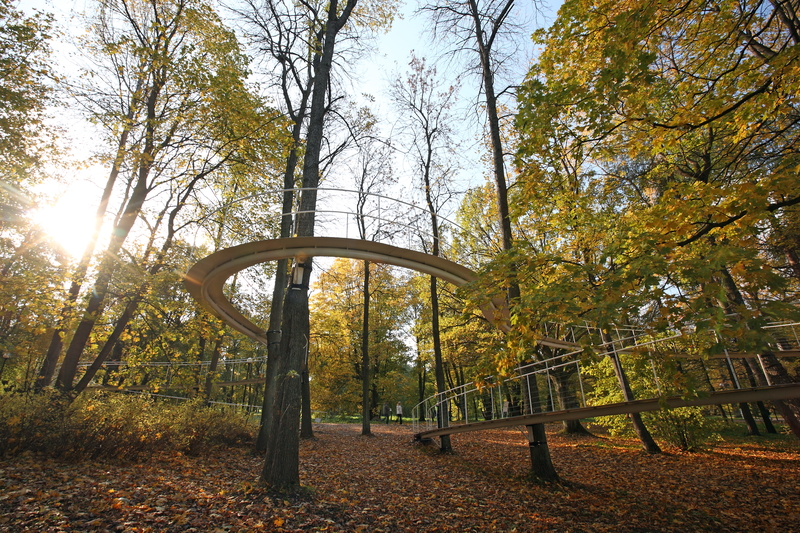 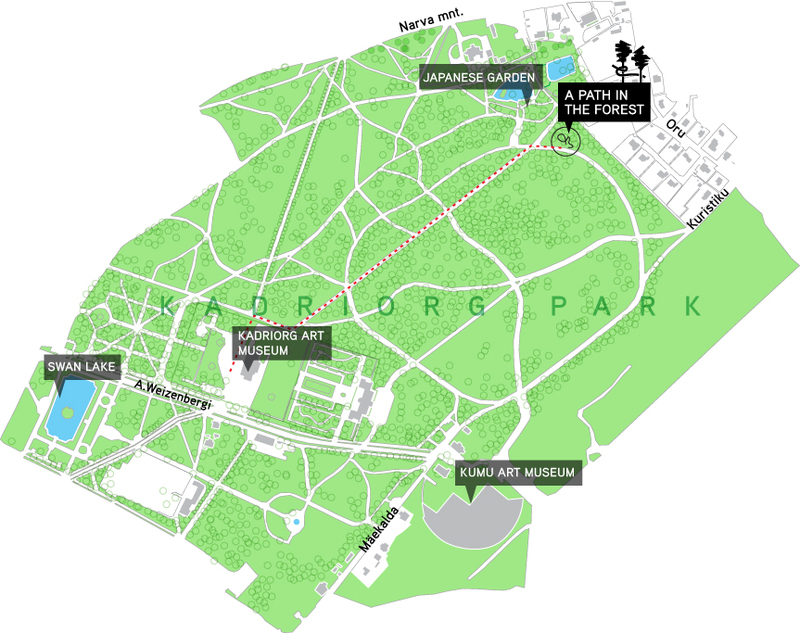 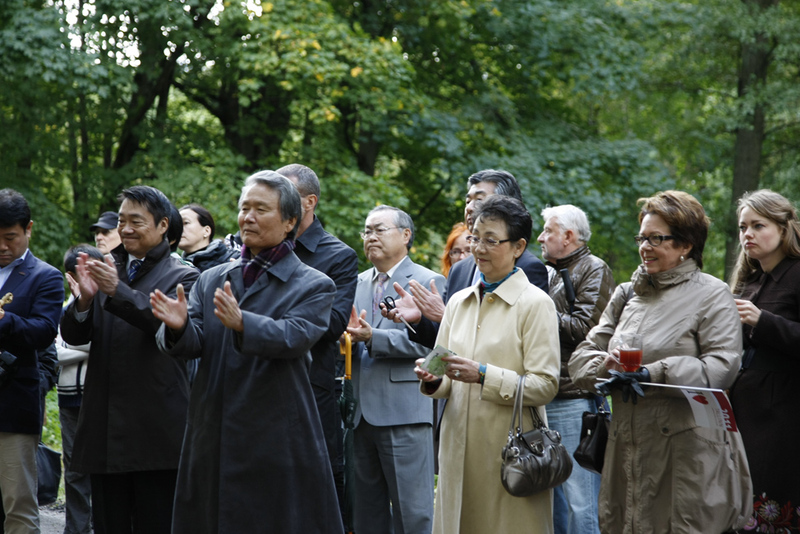 For Kondo, who is a Tokyoite, Tallinn’s Kadriorg Park, created in an international design language by non-locals, was the suitable installation venue. His work became site-specific by how the author read the location, sensing its distinctness and ambience. 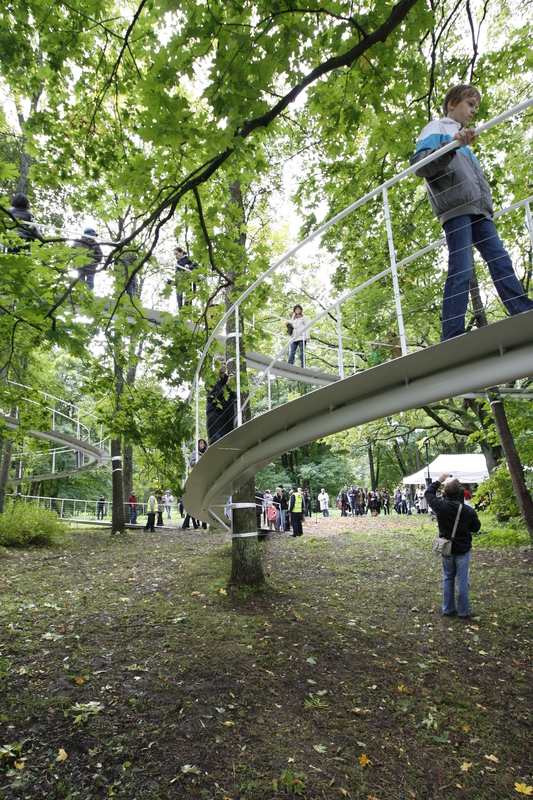 Like other works of LIFT11, A Path In The Forest brought the audience to where people rarely go: to a walk above the ground amidst the trees, looking at the park and the surroundings from a different angle. 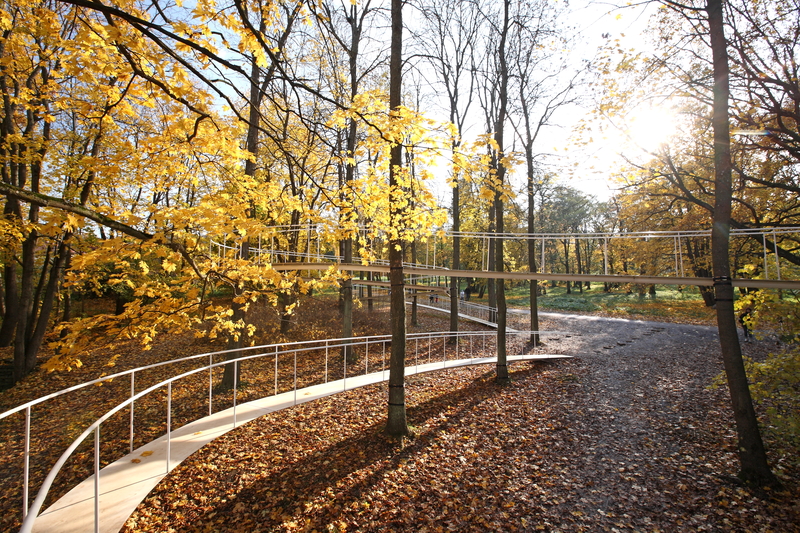 The installation was completed in the autumn, inviting people to perceive how nature was changing, how the trees were changing colour and eventually dropping their leaves altogether. 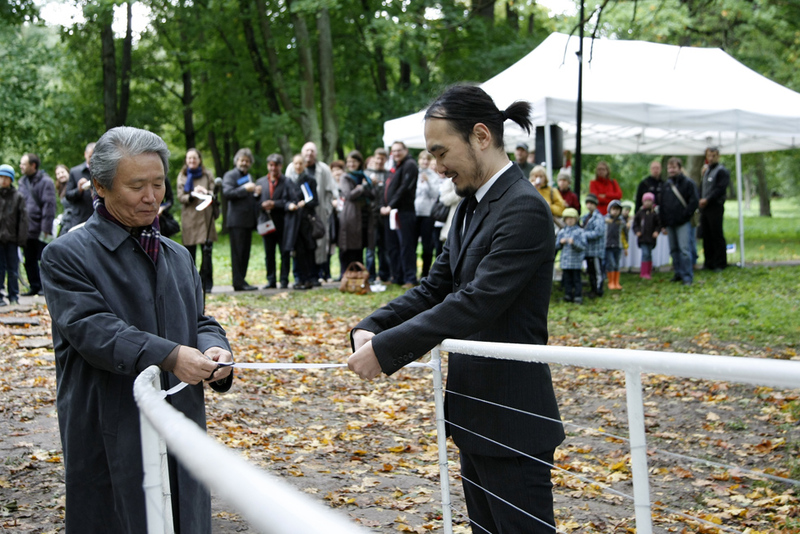 The ribbon was cut by Sadayuki Sakakibara — Chairman of the Board of Toray Industries and Chairman of the EU–Japan Fest Japan Committee — and Tetsuo Kondo, the author of the installation.